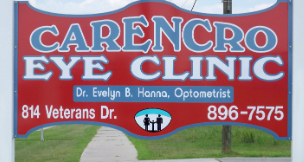 Carencro Eye Clinic offers high-quality contact lenses, eyeglasses, and eye exams at a competitive price in Carencro, LA. Stop by and see our optometrist today or to look at our great selection of eyeglasses and contacts. If there’s something specific you’re looking for, let us know and we can locate it or special order it for you! With more than 20 years of experience, unbeatable prices, top-quality care, and a knowledgeable staff, what more could you ask for? At Carencro Eye Clinic, we provide the care you need to help you see better. Whether you are looking for brand name contact lenses, cases, goggles, safety eyewear, sunglasses or eyeglasses for men, women, and children, you can count on Carencro Eye Clinic to provide you with the most fashionable eyewear. We provide our patients with a comprehensive dilated eye exam. We can also do further diagnostic testing with fundus photography, OCT, full threshold visual fields, and more. Due to many years of experience, our doctor knows that you can see things in the eyes that can indicate other diseases in the body. As part of your examination, we will check for astigmatisms, cataracts, eye diseases, glaucoma, and more. It is always a very pleasant visit time at Carencro Eye Clinic. The staff is always friendly when you walk in. Dr Hanna is the best eye doctor. She is very thorough in her exams. 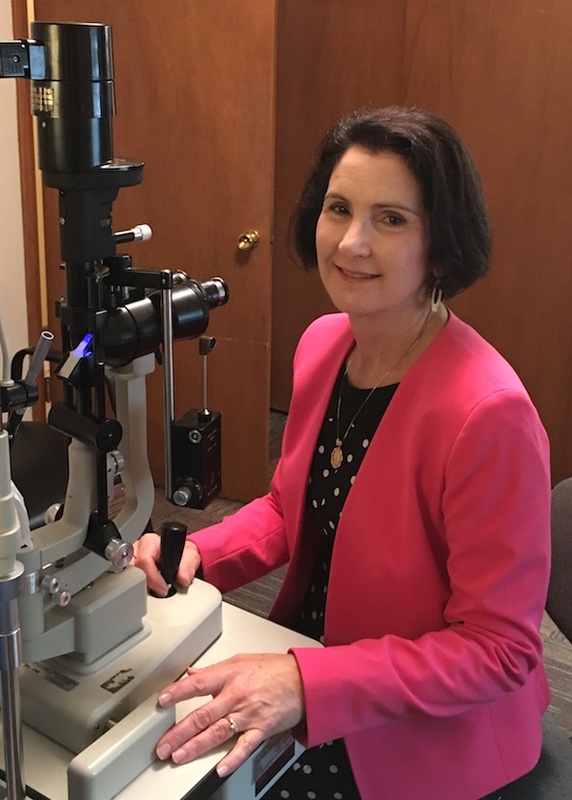 She talks to you and makes you feel very comfortable, and assured that your eyes are being well taken care of. The staff is helpful in knowing their jobs and go beyond the call of duty. Dr. Hanna and her staff are the best. I have been going to their office for over 20 years. I now live in Texas and still make the 7 hour drive to go to their office. I can say I have never liked a doctor as much as I love this doctors office and staff. They made all my worries disappear. It had been years since I had an eye exam. I was very nervous. The staff at Carencro Eye Clinic was very professional, friendly and knowledgeable. They made all my worries disappear. Thanks!!! I’ve been coming here for 20 years! I’ve been coming here for 20 years. Never even considered going elsewhere. My kids are seen here now and also my mom. Friendly and caring staff, and Dr Hanna is awesome! Definitely a 5 star rating! Dr Hanna and her staff always do a great job. Friendly and professional. Very thorough exam along with an easy to understand diagnosis along the way. You rock Dr Hanna. Thank you for the personal care you give me, the thorough exam and the way you explain things you are looking for and what you find. Very helpful and so willing to work with us during our emergency situation will definitely recommend your eye care group! Because I worked near the office, I began seeing Dr. Hanna. I get the most thorough exams there. Because of the thoroughness of the exam, Dr. Hanna recognized I had macular degeneration and sent me to a specialist. I also have controlled diabetes, and she keeps a close watch on that also. I would and have recommended Carencro Eye Clinic to family and friends. Lest I forget, the staff is friendly and knowledgeable. I had a wonderful experience at my appointment! All the staff were so courteous and kind! Dr. Hanna was exceptional! All of my questions were answered and she was very thorough! I appreciate it all!! Please call our office at: 337-415-4550 for further instructions. Use your best judgment on urgency, if you feel your need to find the nearest emergency room. Eyes are important indicators of overall health, and comprehensive eye care goes beyond a prescription for glasses or contact lenses. At Carencro Eye Clinic, we take the time to get to know you, your eye care history, and your vision needs. Our optometrist provides the expert care, advice, options, and follow up you need whether you are a new patient or an existing one.